You can then EASILY order right on our website. EASY ORDER INSTRUCTIONS are listed at the TOP of each sport category page and at the top of the checkout page. *Copy and print your chosen design. Attach to order form and hand out for orders. quote and add for you: Stephanie@allsportdesigns.com. Adobe Reader needed to download and print .pdf forms below. Get your free Reader at www.adobe.com. **Click Here for: New Spreadsheet to fill out with your collected orders. Current Magnet sizes: 4.5" and 6" * .030 mil. thick! After collecting orders, please place your order at your chosen design page(s). 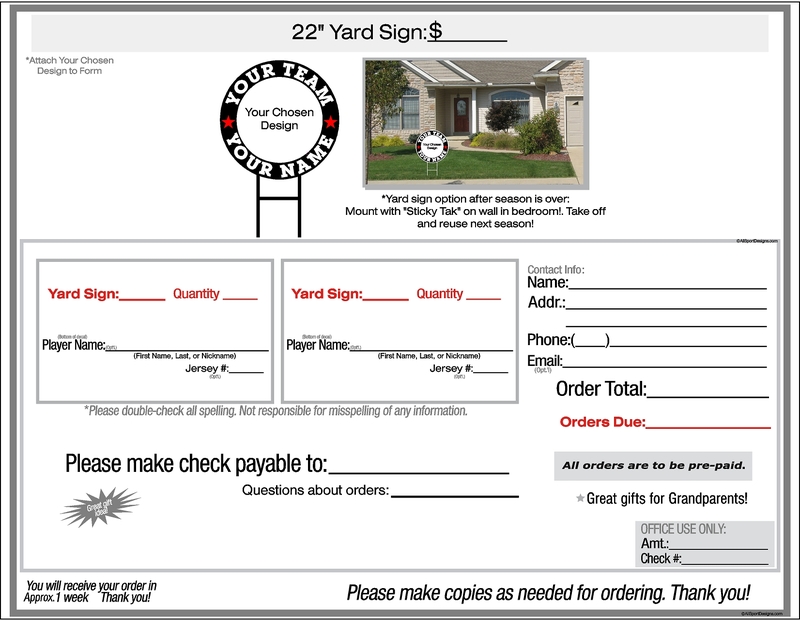 In subject line of email put "Design for Order Form". Thank you! Please email us at allsportdesigns@gmail.com. Please allow 2-3 business days or sooner. If having any difficulty downloading any forms, an updated adobe reader may be needed to be installed on your computer. You can get a Free Adobe Reader at www.adobe.com. Small Inventory-Double Your $ or More! 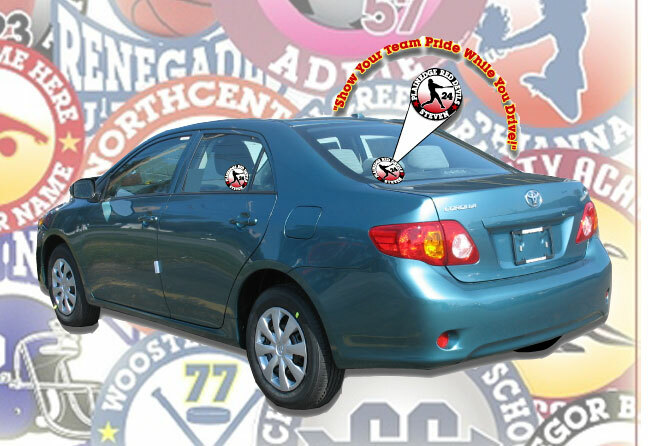 Why not consider our ONE NAME Decals and Magnets? and put with one of our down-loaded team order forms. (Fastest). other than putting designs on order form! Thank you. 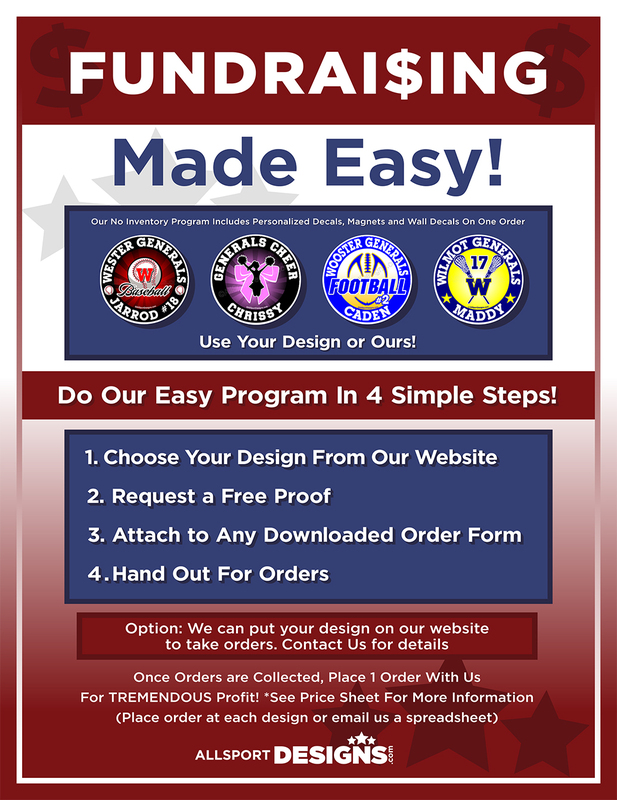 (We will be happy to send you a .pdf of your chosen design for you to put on downloaded order form also (Specify 2 team colors, team name and Design # ('s) along with sizes you will be offering. In subject line put "Design for Order Form".) This is a free service we provide. Please email us at AllSportDesigns_com@yahoo.com. Please allow 2-4 business days or sooner.